September 24 , by Mardi Robyn. Jolene Lew owner of the blog the Journey of a Supermom, shares with us her tutorial for creating a creative Egyptian Headpiece. When I think of jewelry, I usually think necklace, earrings, bracelets, anklets and rings; so naturally I enjoyed reading Jolene’s tutorial and learning how she made the headpiece for a costume party. 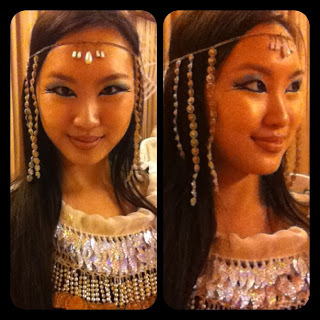 Read all about it here and learn how to make your own Egyptian Headpiece.